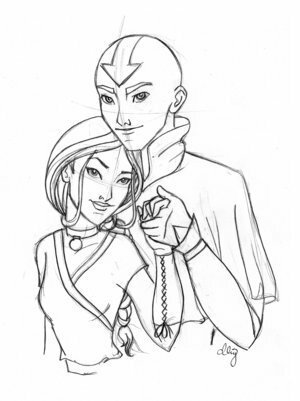 Aang and Katara. . Wallpaper and background images in the Avatar The Last Airbender club tagged: together 4 ever. Katatra looks beautiful and Aang looks amazingly handsome. As usual.